Southern Florida is famous for being home to some of the country’s most beautiful beaches with stunning scenery and warm waters. Some of Southern Florida’s best beaches are unknown to others outside of the region, while others are an adventure for visitors to reach, many are beaches that have yet to be spoiled. The height of the desirable coast of Collier County is the Barefoot Beach Preserve, an area where many different species of animals call home and visitors are allowed to ambience that the natural surroundings of the park provide. The Barefoot Beach Preserve is a natural preserve encompassing more than 340 acres and is of the last remaining undeveloped barrier islands along the southwest coast of Florida. The Barefoot Beach Access at the county park includes a parking area with just under one hundred parking spaces. 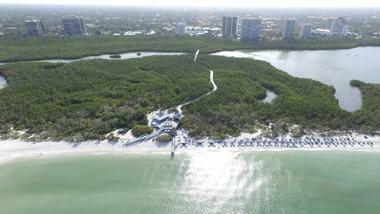 The preserve consists of a sugar-sand beach, picnic area, showers, and a nature trail. The Cayo Costa State Park is a park on Cayo Costa Island that offers visitors and locals with a grand area of the state of Florida that has been left untouched, as well as provides protection for the Charlotte Harbor Estuary. Cayo Costa State Park can only be reached by kayak or boat and boasts nine miles of shoreline that remains undeveloped and is great for birdwatching, fishing, shelling, snorkeling, swimming. Visitors can also explore the area along one of the many bicycle or walking trails throughout the interior of the island, or camp in a tent or small rustic cabin. 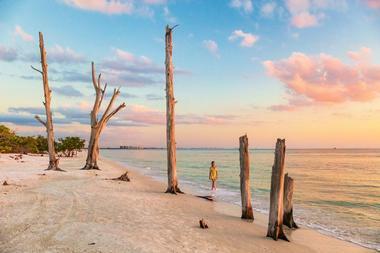 The Clam Pass Park is a stunning beach access point in Collier County in area of North Naples, Florida. The park contains 175 parking spaces that visitors can utilize for free as long as they have a sticker for beach parking. Clam Pass Park is one of the area’s most popular beach accesses, boasting approximately thirty-five acres of coastal habitat and preserving that habitat through providing access to the sandy beach via a boardwalk of about three quarters of a mile in length. The boardwalk itself offers a quiet nature walk for visitors as it winds through the mangrove forest. Dania Beach’s claim to fame is its “Blue Wave Beaches” that have won awards, as well as its close proximity to the city of Fort Lauderdale and the numerous nature activities that it offers for visitors. 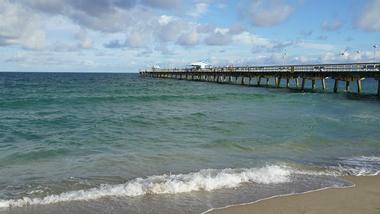 All of this makes Dania Beach an appealing spot for a beach vacation in Southern Florida. The city of Dania Beach is home to the Dania Jai Alai, famous throughout the world and located in the heart of the entertainment and dining district of the city. Also situated near the beach is Jaxson’s Ice Cream Parlor and Restaurant, which serves delicious homemade ice cream. Deerfield Beach offers visitors an opportunity to experiences the beaches of Southern Florida without having to deal with large crowds. The “Blue Wave” award-winning beach earned its recognition from the Clean Beach Council thanks to to the excellent water quality, policies for habitat conservation, public information, safety services, and beach conditions of Deerfield Beach. Activities visitors will find in addition to the beach itself include camping, fishing, a skate park, and the country’s longest courses for cable skiing, which is a hybrid of wakeboarding, skiing, and surfing. There are several opportunities for dining and shopping as well. The city of Delray Beach, Florida is one of Palm Beach County’s hidden gem and has been rated as the “Most Fun Small Town” by the Travel Channel, USA Today, and Rand McNally, as well as one of the top ten “Happiest Seaside Towns” by Coastal Living. 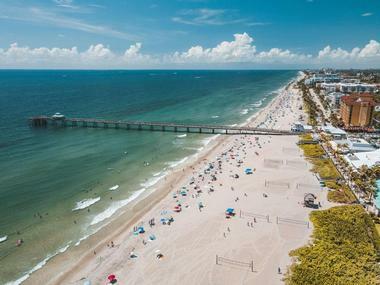 Delray Beach has also won the All-America City award three times and is a great beach destination for not only beach activities, but nightlife, shopping, art, sports, and culture as well. Know for being an intimate, vibrant city, Delray Beach consists of award-winning beautiful beaches, nighttime entertainment, fine restaurants, upscale shops, and more. 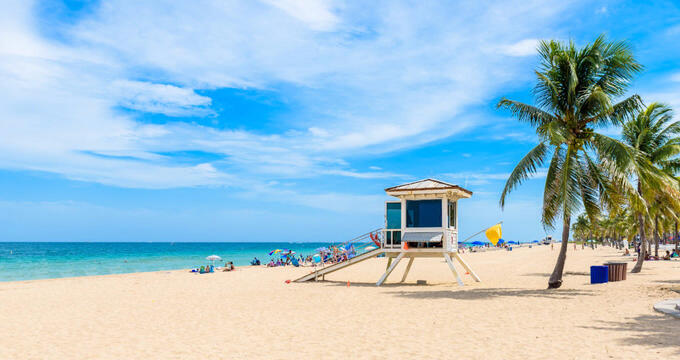 Fort Lauderdale Beach is a Southern Florida beach that is often overshadowed by some of the city of Miami’s more popular beaches, however, the Fort Lauderdale Beach is just as stunning as the Miami beaches, but offers a more family-oriented and relaxing atmosphere. Locals and visitors alike can spend a day strolling along the shore or relaxin the soft sand, while kids play and splash around or build sand castles. More active and adventurous fun includes renting a catamaran and honing sailing skills. The world-famous Primanti Brothers Restaurant offers sandwiches, while many beachside seafood restaurants are located nearby. Hallandale Beach is a place that isn’t exactly in Miami, but not really in Broward either and is often overshadowed by nearby Hollywood Beach. 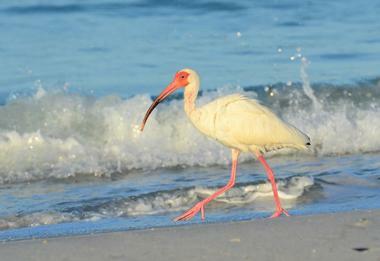 It is often thought of as “the middle child” of the beaches of Southern Florida. 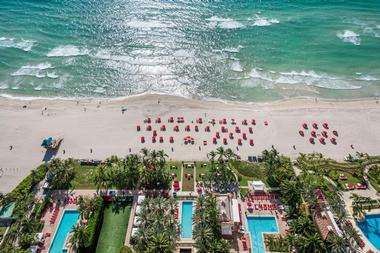 The beach isn’t anything flashy, but it does boast a convenient locations between Miami and Fort Lauderdale. Along with the beautiful beach, visitors can also enjoy saltwater fishing, boating, swimming, golf, and tennis. Evenings offer both casual and fine dining and nighttime entertainment ranging from rock ‘n’ roll to ballroom dining. Malls, shopping centers, and boutique shops offer all kinds of merchandise. The beachfront road that travels along the coast of Jupiter Island reaches a dead end at the Hobe Sound National Wildlife Refuge, part of the country’s National Wildlife Refuge System. Most people wouldn’t know about the public beach at the road’s end, as there aren’t any signs indicating this is the case. 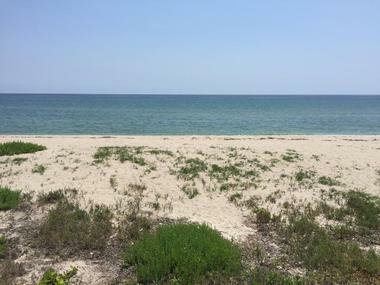 Extending north for over two miles to where the just as pristing St. Lucie Preserve beach starts, the Hobe Sound beach area totals over five miles of unspoiled and wild sandy shoreline. 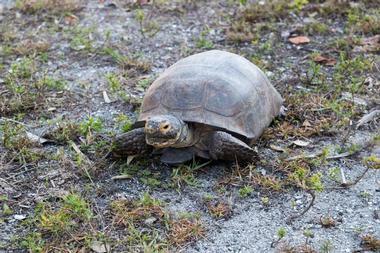 The only amenities visitors will find at the Hobe Sound National Wildlife Refuge are portable restrooms. 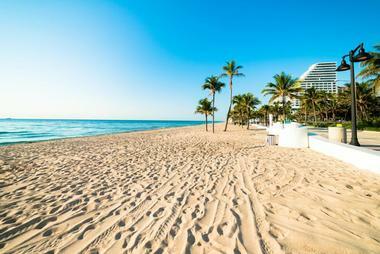 Situated between Fort Lauderdale and Miami, Hollywood Beach is well known for being a beautiful stretch of sandy beach, an ideal setting for beach vacations. The unique Hollywood Beach Broadwalk has been ranked by Travel + Leisure as one of the “Best Beach Boardwalks” in America, stretching for almost two and a half miles along the ocean and offering beachfront bars and restaurants, unique shopping, live music, and year-long activities. The promenade is also home to the Charnow Park with a water playground for children and the Hollywood Beach Theatre. A trolley service takes visitors from the Hollywood Beach into Downtown Hollywood, Florida. 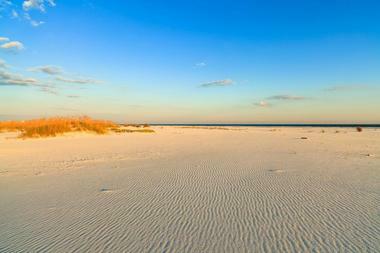 Formerly named the John U. Lloyd Beach State Park, the Dr. Von D. Mizell-Eula Johnson State Park is situated just to the south from Port Everglades and is the last remaining example in Broward County of an undeveloped coastal ecosystem. The state park is named after a leader in the Civil Rights Movement who from the 1950’s to the 1960’s led “wade-in” protests in an effort to desegregate the beaches in Southern Florida. The John U. Lloyd Beach State Park is now a popular spot for picnicking, bicycling, hiking, boating, fishing, and swimming, providing an escape from the busy city. 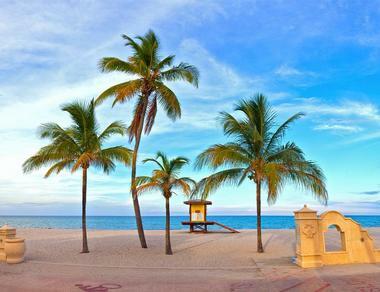 Lauderdale-by-the-Sea, a town in Southern Florida, offers a beautiful beach, welcoming public plazas where outdoor games are available on a daily basis and monthly free dance classes are offered, frequent live music, and numerous sidewalk cafes. The town is widely considered to be the diving capital of the South Florida Shore, with divers and snorkelers come from all over for a chance to swim through the reefs and spot lobsters, turtles, and tropical fish. Lauderdale-by-the-Sea is a walkable town with everything conveniently located, with vividly colored banners anchoring the boundaries of the town, as well as colorful signs providing directions. The Lovers Key State Park is situated to the south from Fort Myers Beach and got its name due to the fact that at one time it was so remote, the only visitors were lovers seeking privacy. The park is today is much easier to reach. Lovers Key State Park is thought by many to be one of Southern Florida’s best beaches, however, the beach still remains largely unknown. 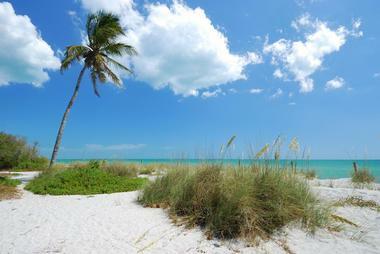 The beach at Lovers Key is approximately two and a half miles in length and is lined by natural vegetation. Birding, kayaking, beachcombing are popular activities among visitors at the beach. The Oceanfront Park Beach in the City of Boynton Beach, FLorida is open every day of the year beginning at sunrise until 9:00pm. Lifeguards are present patrolling the beach on a daily basis from 9:00am until 5:00pm. 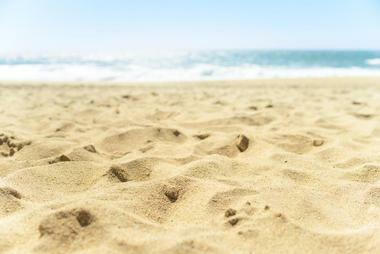 Designated skim board and surfing areas can be found at the south and north ends of the Oceanfront Park Beach. Lounge chairs and umbrellas are available for rent at the beach as well. The picnic areas in the park includes restrooms, picnic tables, and grills, while the visitors can find benches and canopy-covered walkways throughout other areas of the Oceanfront Park. Pompano Beach offers quite a bit for visitors, from great shopping opportunities to fine dining to the relaxing and fun beach. 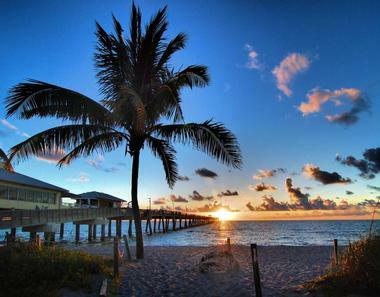 Located centrally between Miami and Palm Beach, Pompano Beach is often referred to as “The Heart of the Gold Coast.” Pompano Beach is famous for its excellent opportunities for fishing and boating and accentuated by its off-shore living coral reef that is accessible to snorkelers and scuba divers. Families and anglers alike come to one thousand-foot-long fishing pier, picnic tables, grills, and beachside playgrounds. 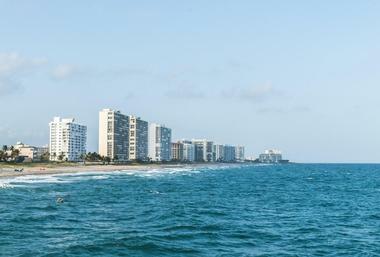 Pompano Beach also hosts several annual events, such as the fishing rodeo, seafood festival, and holiday boat parade. The St. Lucie Inlet Preserve State Park is an ideal beach in Southern Florida for those who want a beach practically to themselves. The park is situated in Stuart, Florida on a barrier island that is only accessible by means of a boat or kayak, even though the island is just approximately one-third of a mile across the Intracoastal. The beach at the St. Lucie Inlet Preserve State Park is certainly a reward for making the journey as the shaded boardwalk opens onto the wild, wide, pristine beach that goes on for miles. The park includes restrooms and a picnic pavilion. Tigertail Beach, which is located on Marco Island, is a popular beach among local residents due to its “split personality.” Visitors can park on one of the island’s lagoon at the well-kept, clean park that offers rentals of beach gear, stand-up paddleboards, and kayaks, as well as a concession stand, a playground, picnic tables, and changing rooms. The other side is a wild sand spit extending around three miles to the north and offers a beach with scads of shells, soft white sand, ospreys overhead, dolphins swimming off-shore, and many shorebirds. Many take the adventure of crossing the 50-yard lagoon. Situated off of the Gulf Coast of Florida near Fort Myers, Captiva Island is associated sometimes with neighboring Sanibel Island to the south. Both of these islands are all about outdoor activities, such as water activities, birding, sailing, and biking. Captiva Island is a small piece of land that is nestled against the southwest coast of Florida and gives of an almost magical, slightly off-kilter feel. The small island is also home to one of the most remote beaches in the United States. 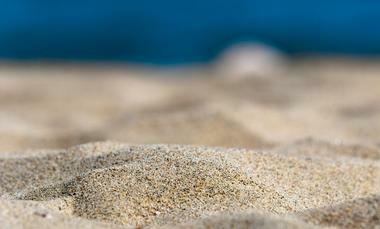 The island’s shell beaches are some of the world’s most beautiful of their kind. 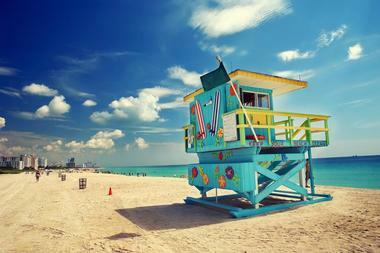 South Beach is a famous beach located in the southern area of the city of Miami, and is one of the beaches visited most frequently along the East Coast of the United States. Visitors can one of the favorite hobbies of Southern Florida by grabbing a paddle board or simply spend a day relaxing on the sandy beach while drinking a refreshing cold daiquiri or other cocktail from the world-famous Wet Willy’s. In addition to the beach, South Beach also possesses an arts district with some of the region’s most famous contemporary art, as well as several nightclubs. 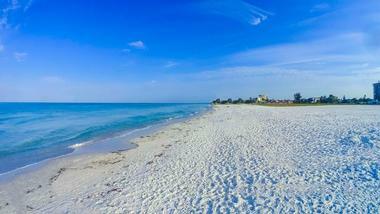 The Siesta Key boasts powder white sands made up of almost entirely of quartz and blue crystal-clear waters. 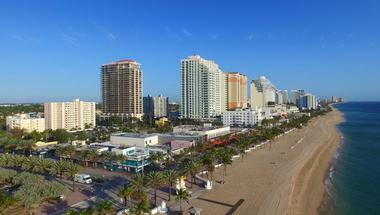 The beach is a popular destination among any travellers along the state of Florida’s west coast. Each year, numerous visitors come to the tiny island to view some of the world’s best sand sculpting art during the Crystal Classic Master Sand Sculpting Competition held at Siesta Key. Lifeguards are on duty and the waters are extremely shallow, making the beach one of the safest for young children. Turtle Beach is a popular spot at the south end of the key for launching kayaks.